PORTLAND, Sporting Alert – Damian Lillard and the Portland Trail Blazers have big plans this season and it will start on opening night against the Utah Jazz. Lillard, who averaged career highs 25.1 points, 6.8 assists and 4.0 rebounds per game in 22.25 minutes a contest last season, has been heavily praised by coaches in the league, including Golden State’s coach Steve Kerr, who is backing the 26-year-old to win the 2016-17 Kia MVP. “I think (Kevin Durant) is kinda like Gary Johnson, a third-party guy who might come in and take a few votes from Steph (Curry), takes some votes from LeBron (James) and then Damian Lillard wins the election,” Kerr told Bay Area reporters. The Trail Blazers were beaten in five games by the Warriors in the Western Conference semi-finals last season and Lillard has his eyes focused on going even further this term. 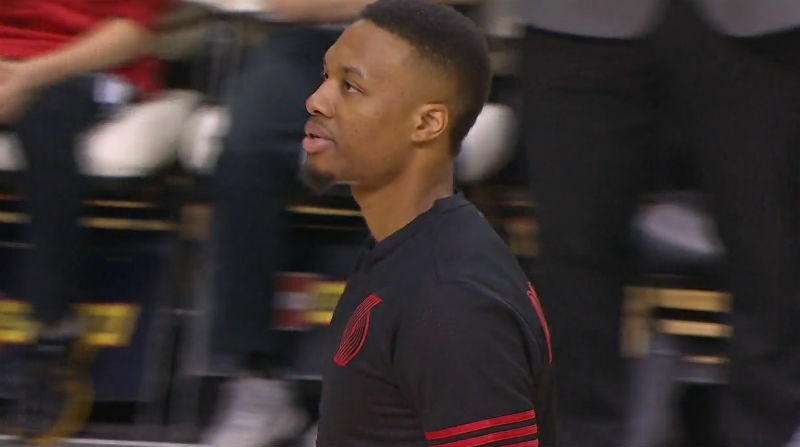 “I want to get to the Western Conference finals and give ourselves a chance to get to the (NBA) Finals,” said Lillard. On a personal note, Lillard isn’t being shy about his pursuit of the MVP award. Portland enters the start of the NBA season with a vert talented squad, as besides Lillard, the likes of CJ McCollum, Al-Farouq Aminu, Shabazz Napier, Evan Turner, Mason Plumlee, Meyers Leonard and Allen Crabbe will provide lots of options for coach Terry Stotts. After just missing the playoffs last season, the Utah Jazz are expected to show much improvement this term. Coach Quin Snyder has added some key pieces to his side, including point guard George Hill and veterans Joe Johnson and Boris Diaw and they are expected to help his side improved on the 40-42 record from last season. Combined them with young talents such as Gordon Hayward, Derrick Favors, Alec Burks, Rodney Hood and Rudy Gobert, and suddenly the confidence in the squad has improved. “We get something from all three,” Hood told the Deseret News. “With Boris, his passing ability, his knowledge of the game. He’s always teaching us little things here and there to make things easier. “With George, pushing the pace, being a leader … you’re always hearing his voice. “With Joe, he’s always in my ear telling me little things I can do to make the game easier.